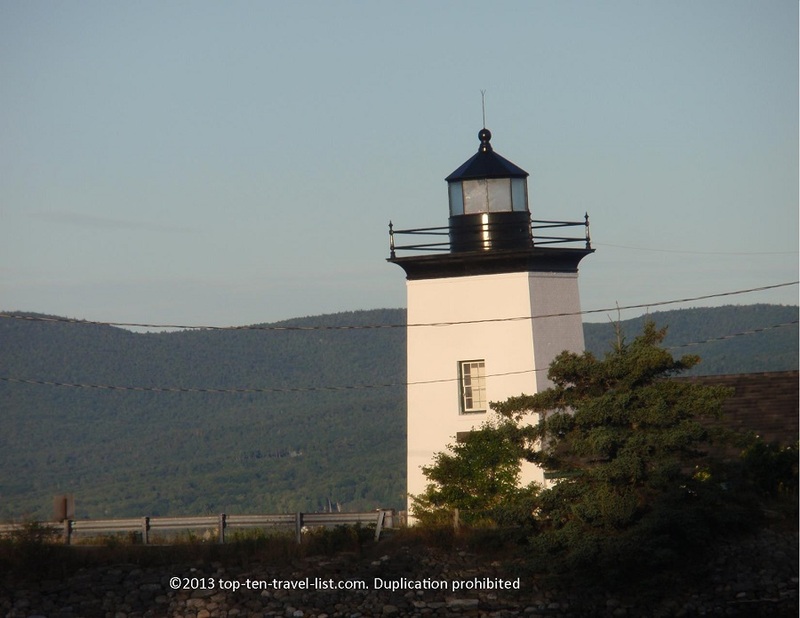 Vacation Spotlight: Islesboro, Maine - Top Ten Travel Blog | Our experiences traveling throughout the US. 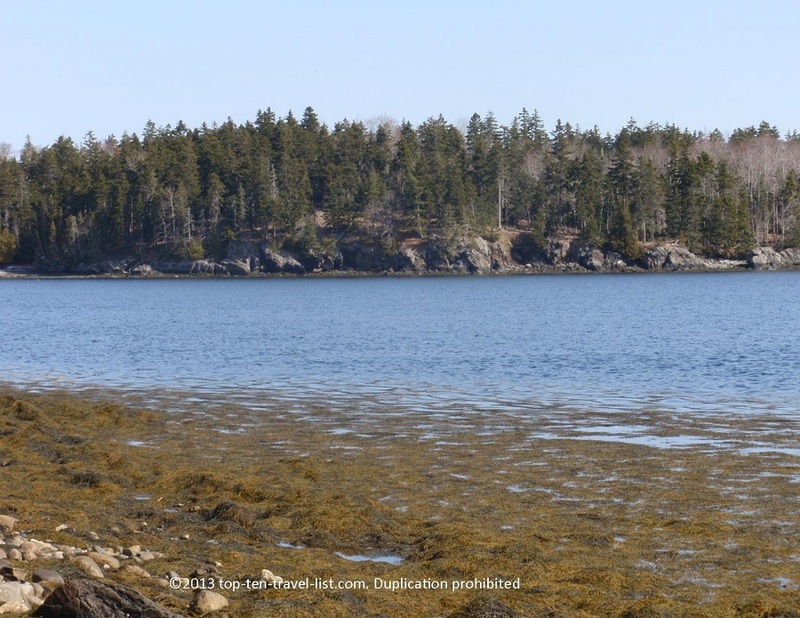 Islesboro, a small island located off the coast of Maine is the perfect peaceful getaway.This popular New England summer destination is the perfect place to refresh and renew yourself in a serene setting. Perhaps the most unique attribute of this island is the process of getting here. 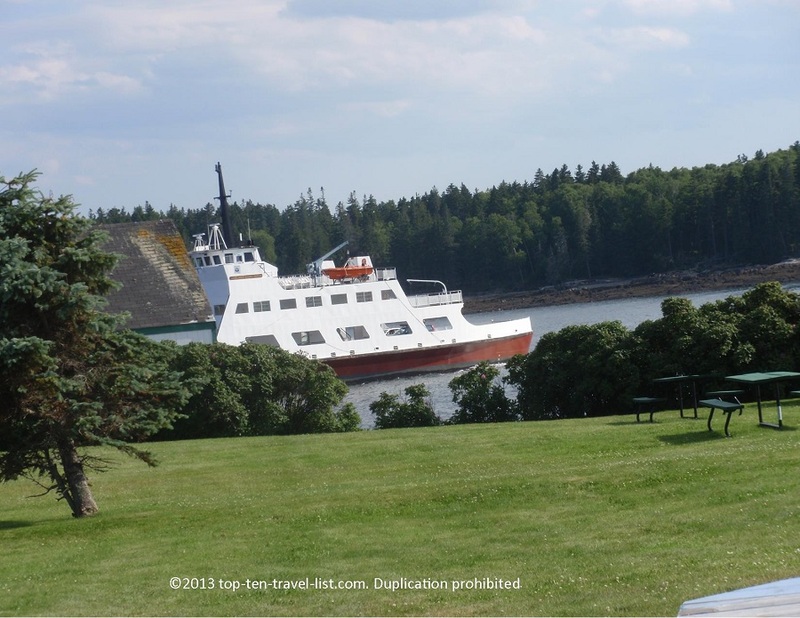 Islesboro is only accessible by ferry from Lincolnville, Maine. The 3 mile 20 minute ride is scenic and peaceful. Visit the following website for rates and a schedule. A rental for a week on the island is the ideal setting for relaxing, reading, painting, enjoying nature, and taking in the beautiful landscapes around you. You can browse a list of available vacation rentals at the Island Property website. Rentals are typically only available during the summer months. Prices vary depending on size and location on the island. 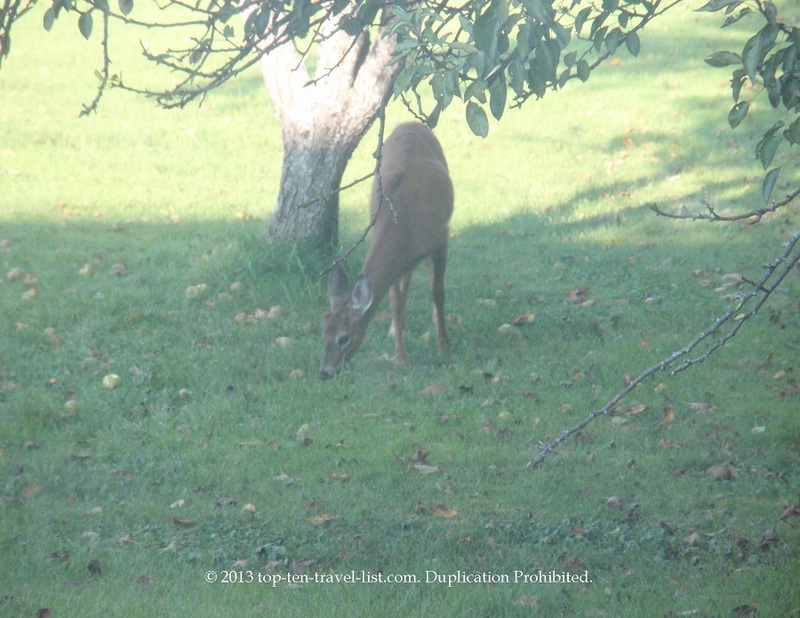 We often saw deer right outside our bedroom window! During the summer months, the population soars from a year round population of about 550 to a summer population of over 3000. During this time, several seasonal businesses open including the Dark Harbor Shop (a casual cafe and souvenir shop), and the Snack Shack (quick snacks and meals). Additionally, year round businesses like the Island Market are available for grocery shopping and prepared snacks. A community center featuring a cafe, fitness center, and ongoing events recently opened its’ doors. I had the opportunity to live on this beautiful island for a year. Some of my favorite things to do during the warmer months included: playing tennis, strolling along the scenic rocky beaches, and collecting Sea Glass. 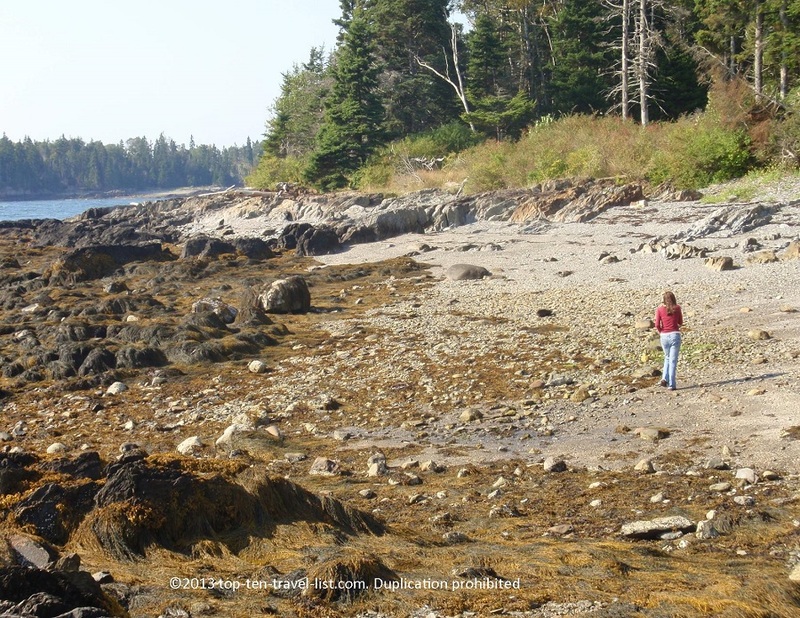 The Sea Glass found on the island is very old and well tumbled due a combination of rocky coastline and the age of the island. For those of you who don’t know, Sea Glass is the product of glass that has had decades to tumble along the rocks. 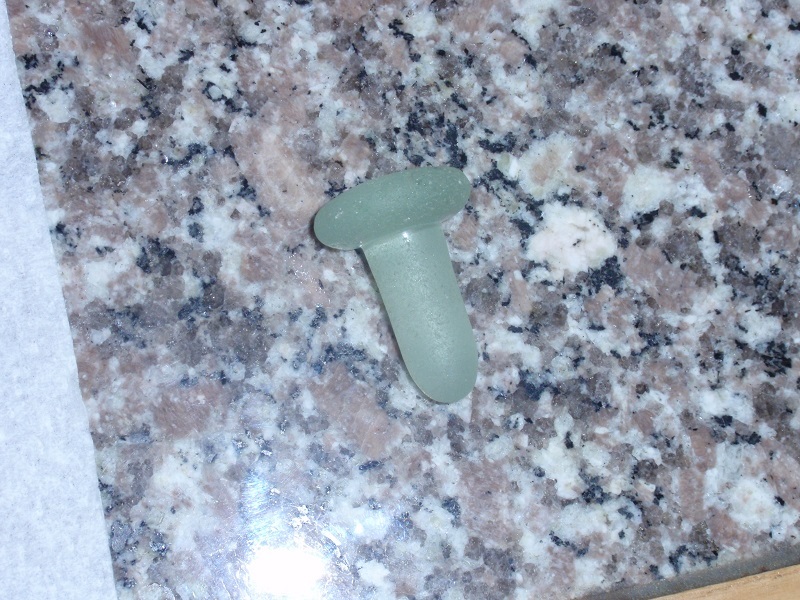 Check out this old bottle stopper I found on one of the beaches. This stopper was a rare find that could be over 100 years old! 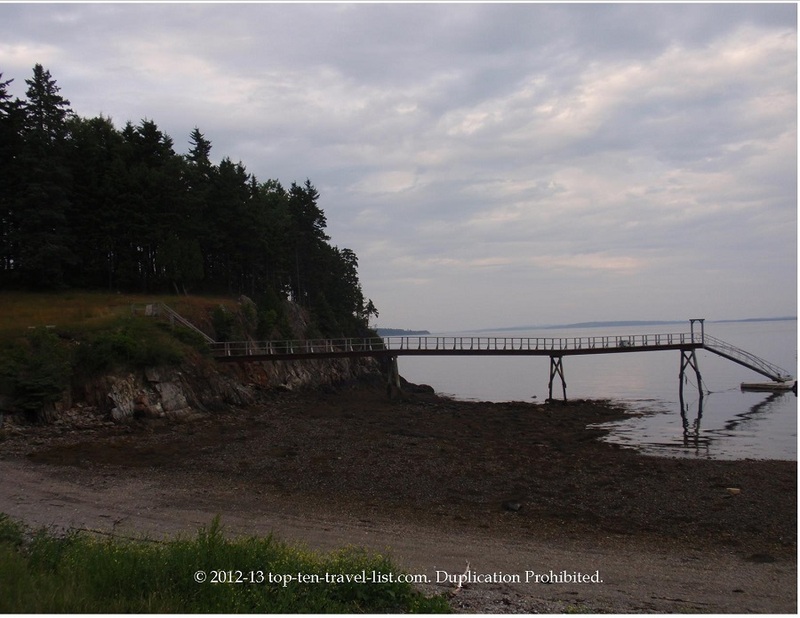 The real beauty in vacationing to Islesboro is being surrounded by nothingness. 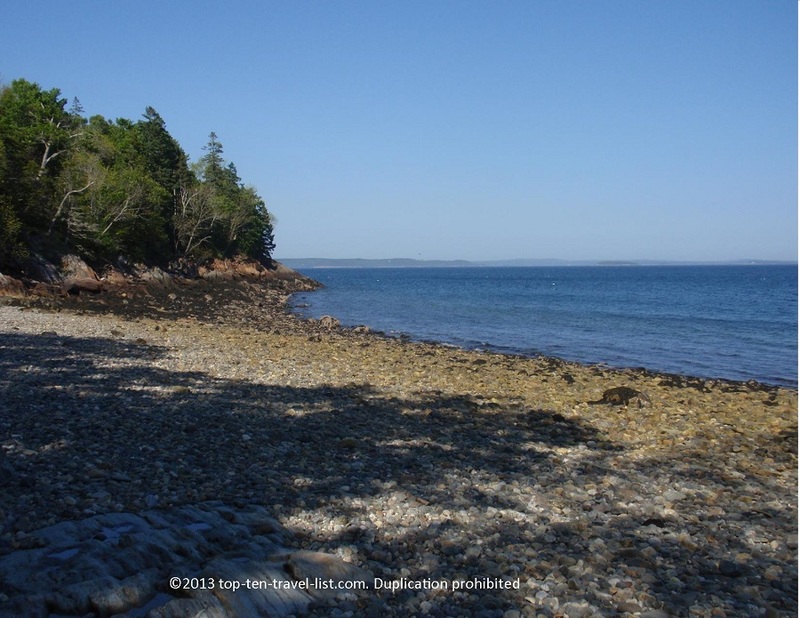 The isolated location makes for relaxing trip – peaceful forests, beautiful ocean views, and quiet rentals provide for a fantastic summer getaway. 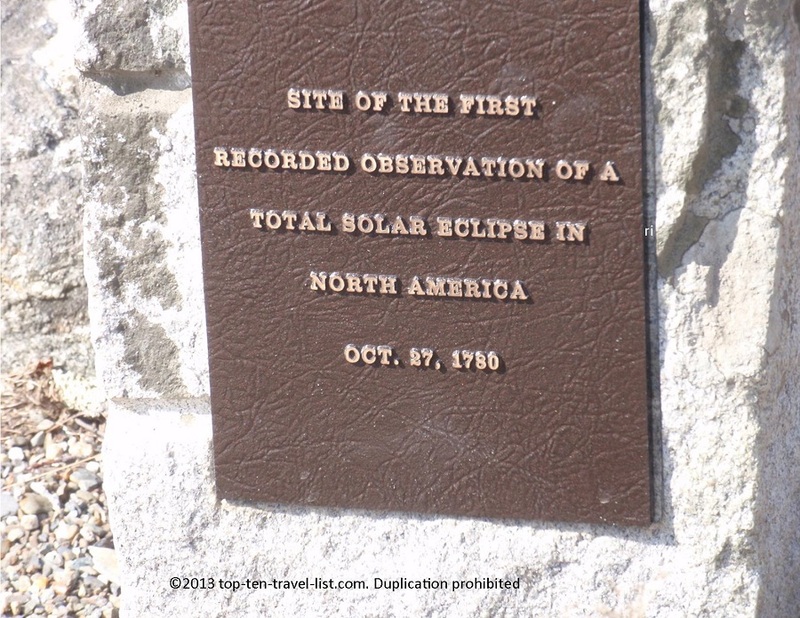 Interesting Tidbit: Islesboro is home to the first recorded solar eclipse in North America. Be on the lookout for the commemorative plaque, located on the northern portion of the island. One must, if planning a day trip off the island, is definitely the quaint, beautiful town of Camden. This coastal town has a picturesque downtown where you will find specialty shops, galleries, local restaurants (my favorite – Camden Deli), and access to the waterfront. The landscaping and scenery in this town are amongst the most beautiful I’ve ever seen. The amount of trees is astonishing! 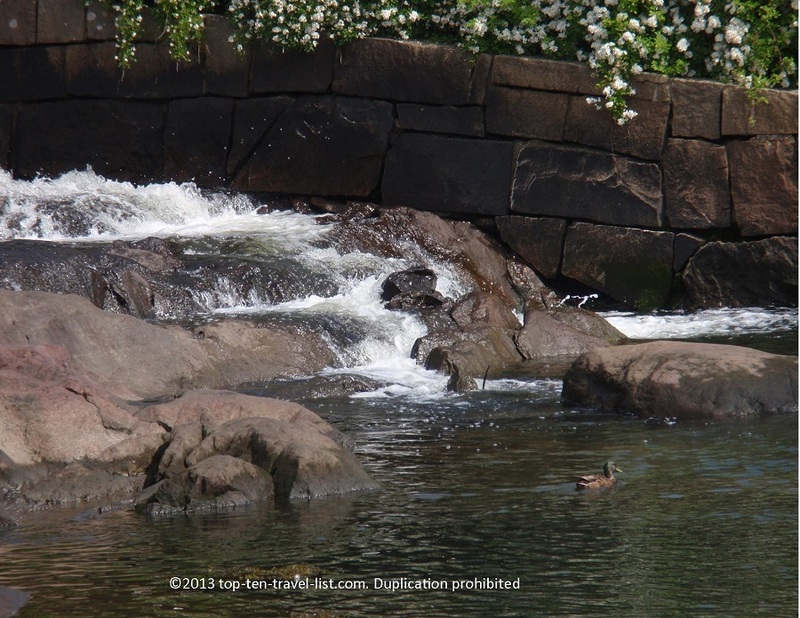 Also be sure to check out the beautiful waterfall. The combination of mountain and harbor views provides a truly idyllic setting, hence the town’s slogan, “Where the Mountains Meet the Sea.” While you are in Camden, venture out to Camden Hills State Park, an absolutely gorgeous state park with over 30 miles of scenic hiking trails. 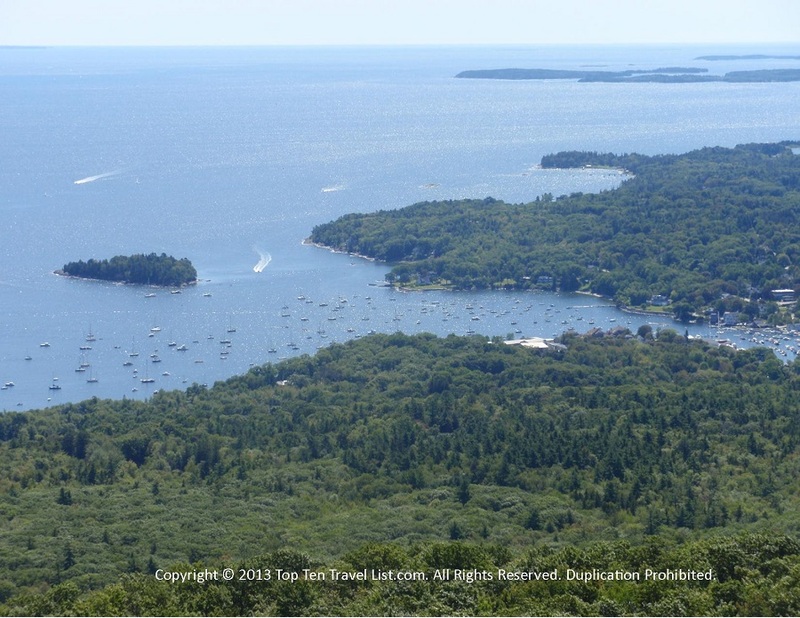 The highlight here is the incredible view of Penobscot Bay and Camden Harbor from the top of Mt. Battie. 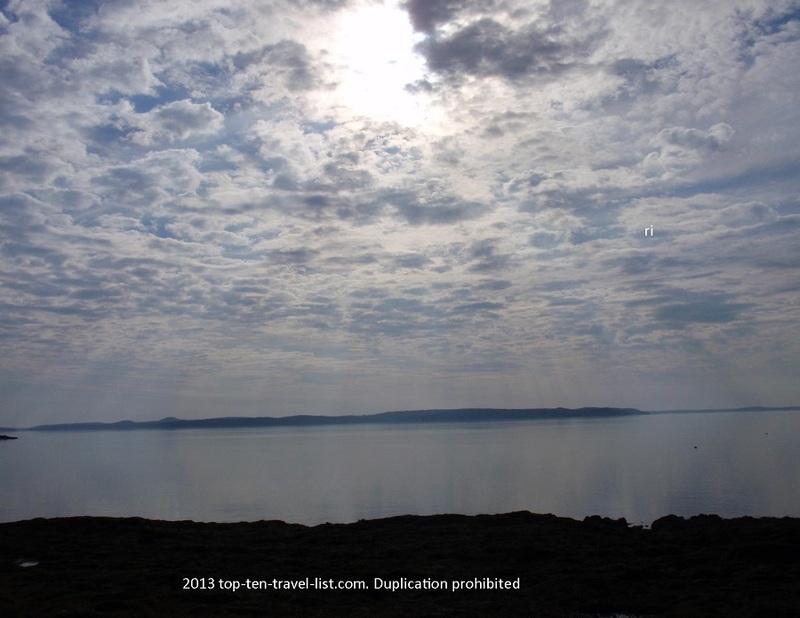 You have the option of either taking the auto road or being adventurous and taking the 2 hour hike to the summit. This challenging hike offers rewarding scenery at every angle, not to mention a fabulous workout! 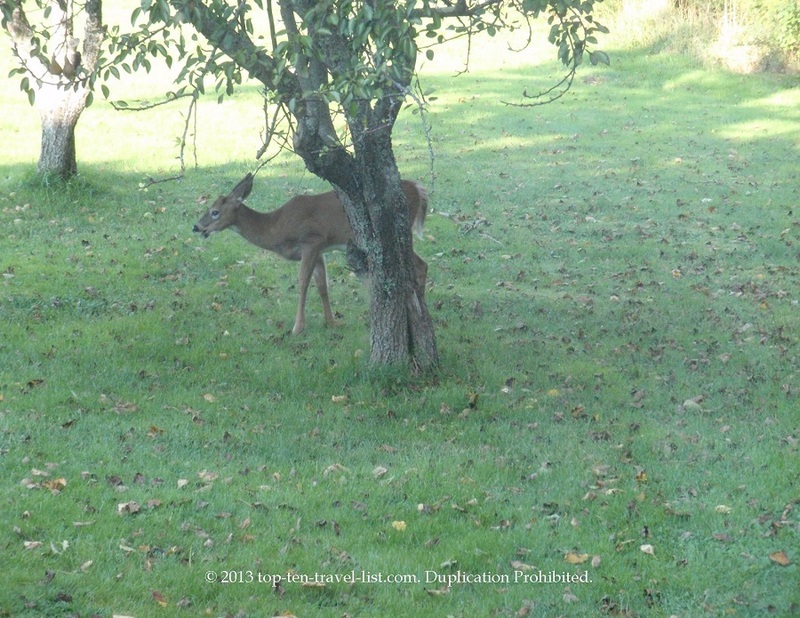 Check out my Camden Hills State Park blog post for more beautiful photography! 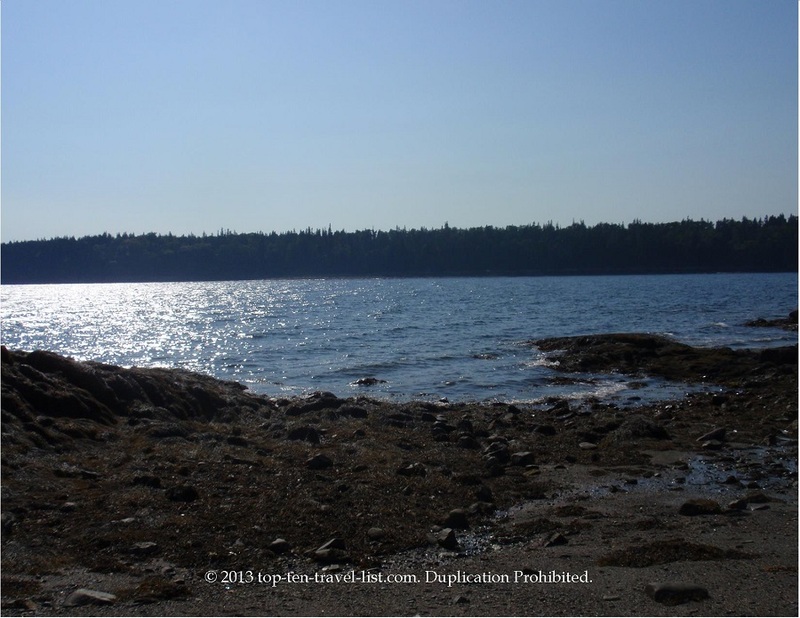 Lincolnville, Maine – There is a small beach right off the ferry and a handful of shops to browse around. 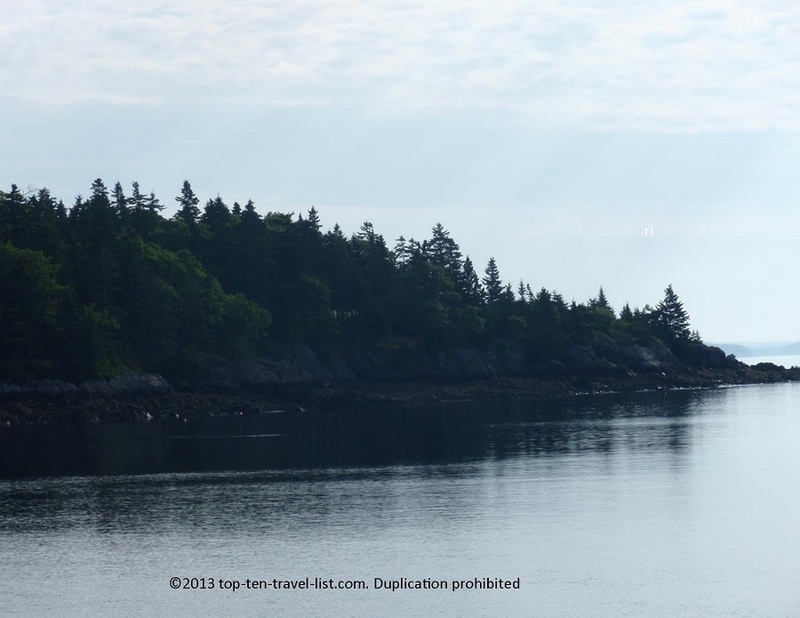 Bar Harbor, Maine – Home to Acadia National Park. 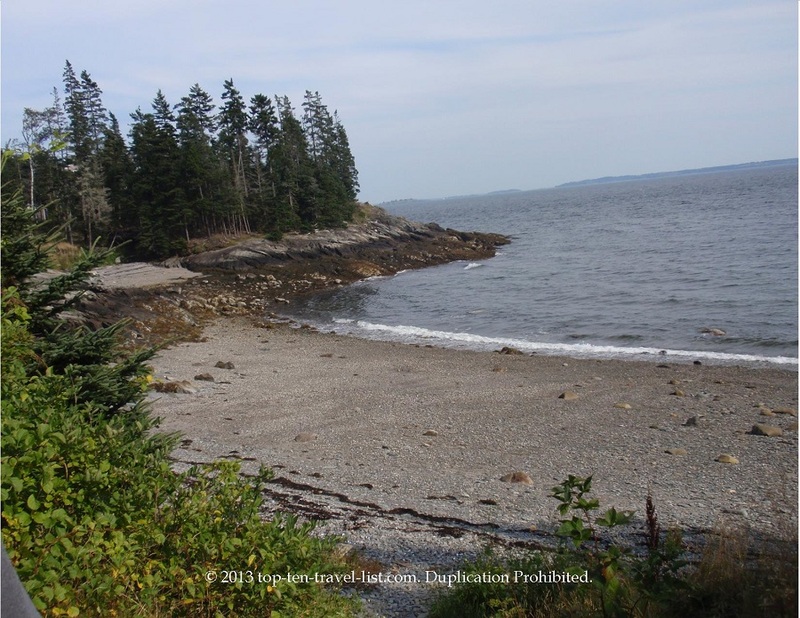 Belfast, Maine – This scenic town features a walkable downtown with plenty of restaurants and local shops. Bangor, Maine – The largest shopping destination in the area complete with a mall containing most of the staple stores.